The average age of vehicles on the road rises and falls, pretty much depending on the current economic situation. When times are good, people have more money, and their cars are younger. When times are bad, there isn’t as much money floating around, so people hang on to their cars longer. Proper maintenance can go a long way toward keeping those older cars on the road longer, but major car repairs can quickly stack up and make us wonder, “Is ‘old reliable’ still reliable enough to repair?” and “When is it time to look for a new car, or at least a newer car?” We wish the answer was simple, but it turns out there are a lot of factors involved in making the decision to stick with what you already have, or spring for something newer. Generally-speaking, you need to try and separate sentimental value from the monetary value of your car. In other words, how much is your car really worth? Also, how much would it cost to buy a new car or newer used car? That way, when you look at how much maintenance and car repairs cost, you can judge whether or not it’s worth your hard-earned money to: a) repair the car, or b) replace the car. We typically recommend not to make any car repair that is worth more than half the car’s value. Let’s compare a couple of vehicles and repair costs. First, there’s a 2005 Toyota RAV4 with 120,000 miles, in excellent condition, and completely paid for. According to one authority, the RAV4 is worth about $7,500, and the upgrade option, a 2015 Toyota RAV4, is worth about $25,000. Then, there’s a 1992 Toyota Camry DX with 400,000 miles, in good condition, which is valued about $1,000. Upgrade options include the 2005 Toyota Camry, about $6,000, or the 2015 Toyota Camry, about $22,000. Minor car repairs shouldn’t be too hard to accept on either vehicle. A new set of tires and an alignment, for example, might run $500 and last another 40,000 miles. Considering that the Toyota RAV4 is just about middle-aged, (Toyota builds their vehicles for a 250,000-mile lifespan) and you plan on keeping the car for another three or four years, this is a perfectly justifiable expense. On the other hand, spending $500 for new tires on a $1,000 Camry may or may not make any sense to you. Even if the car is well-maintained (this highway commuter has already exceeded its expected lifespan by about sixty percent), will it even last another 40,000 miles and without additional car repair expenses? 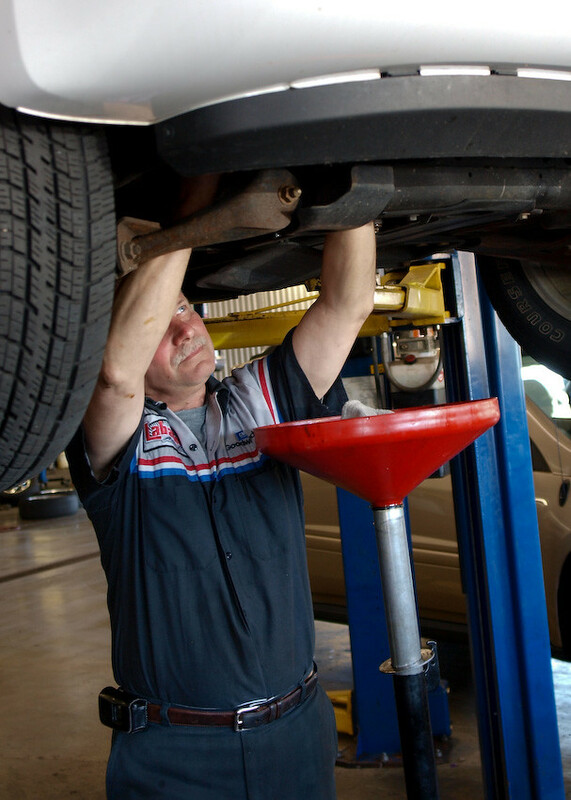 Additionally, are you experiencing other minor car repairs frequently? Faced with replacing a radiator, $300, full brake pads, rotors, and calipers, $750, timing belt, water pump, and coolant, $500, and new tires, $500, all in the same year, one can see that car repair costs have easily blown past the value of the car, without adding much, if any, value to it. Those four car repairs alone, along with selling the car, add up to about $3,000, which is a good chunk of money for a down payment on the 2005 Camry. Things tend to get sticky when we consider repairs that go over $1,000. Imagine, for example, an engine rebuild, which can cost anywhere from $1,500 to $3,000. In the case of the 1992 Toyota Camry, making this repair makes absolutely no sense. A rebuilt transmission might last another 400,000 miles, but the rest of the car wouldn’t even make it through half of that. One might make the case for a used transmission, maybe less than $500, but it might not last any longer than what you already had. We couldn’t, in all good faith, suggest spending so much. A $3,000 engine rebuild would be enough to put down on the 2005 Toyota Camry. In the 2005 Toyota RAV4, however, spending even $3,000 for an engine rebuild could be perfectly justified. Still worth less than half of the vehicle’s worth, the rebuilt engine would easily double the current mileage on the vehicle. If planning on keeping the vehicle for the long term, go ahead. If you have any doubts, however, think about how much it could cost to get into a 2015 Toyota RAV4. You’d still have to put down a couple thousand more on the down payment, $5,000, and then somewhere around $385 per month, not including higher insurance premiums. AGCO Automotive Corporation has a wonderful cost calculator, an enlightening look at costs associated with car repair and financing a new car. Of course, you can always keep your old car, instead of springing for a new car. Indeed, there are millions of old vehicles on the road, some daily drivers dating back to the 1960s, so there’s nothing preventing you from doing the same. As with everything, however, there are pros and cons to keeping your old car. On the one hand, keeping your old car might be problematic. If repair costs seem to be very frequent, think very carefully about how much you money is being wasted. On the other hand, your old reliable car is something second-nature, even a part of the family, and you know where all the controls are and how the car handles. Insurance premiums and registration fees typically get cheaper every year. If repair costs are still below the recommended 50%-of-value threshold, waiting to buy a new car will give you more time to save up for it.